Dr. Lawrence Wolf is the owner of the Willingboro Veterinary Clinic. He went to undergraduate school at Lehigh University and graduated vet school from the University of Pennsylvania. Upon graduation in 1979 he joined the Willingboro Veterinary Clinic, then owned by founder Dr. Samuel Longer. Dr. Wolf enjoys family activities with his wife Ilene and 3 grown sons. He is an avid sports fan and especially enjoys basketball. He also shares his home with his two Shih-Tzus, Lucky, and Sassy. Dr. Michael Torline has been in practice since 1987. He joined the Willingboro Veterinary Clinic in 1990 and is a co-owner of the practice. He graduated with a Bachelors of Science in Biology and Chemistry from Benedictine College in 1982 and with a Doctor of Veterinary Medicine from Kansas State University in 1987. He enjoys woodworking, house renovations and gardening in his spare time. His dog Shane helps keep him busy. Dr. Amy Mendelson graduated from the University of Rhode Island with a Bachelors of Science, from St. John's University with a PharmD and from the University of Pennsylvania School of Veterinary Medicine in 1990. She joined the Willingboro Veterinary Clinic after graduation and has a special interest in behavioral medicine, dentistry, and PennHip. Dr. Mendelson has 2 children, Joey and Emily, with her beloved late husband Alan. She also has four dogs, Ari, Gibbs, Charlie and Poppy. Her hobbies include needlepoint, knitting, crochet, jewelry making, quilting, cross stitch, walking and reading. Dr. Julie Rabin is a graduate of Delaware Valley College of Science and Agriculture in Doylestown, Pennsylvania, and The Ohio State University Veterinary School. She has been in practice since 1995 and with the Willingboro Veterinary Clinic since 2002. She shares her home with 3 cats, and also has 3 cats and 2 dogs that live with other family members. Her hobbies include attending games and rooting for the Phillies and Flyers. Dr. Jeffrey Daniels is a 1997 graduate of Kansas State University with a Doctor of Veterinary Medicine. He was welcomed to the Willingboro Veterinary Clinic in 2006 after 8 years of practice at the Columbus Central Veterinary Hospital. He and his wife Melissa, who is also a veterinarian, have two sons, Cooper and Parker, and they share their home with their 2 Boxers, and 2 Sphinx cats. Dr. Karwacki, a Florence native, started by observing at the Willingboro Veterinary Clinic at the age of 13. At the age of 16 she accepted a position in the kennel as an animal caretaker and worked until leaving to go to college. Dr. Karwacki graduated with a Bachelors of Science from Rider University and with a Doctor of Veterinary Medicine from Kansas State University in 2013. She re-joined our hospital family in June of 2013. She has a special interest in exotic animals. She shares her home with two dogs, Sophie and Daphne, cats and several pocket pets and reptiles. Dr. Cheryl Goldstein joined Willingboro Veterinary Clinic in 2019 after working at other veterinary hospitals in the South Jersey area. She graduated from Kansas State University College of Veterinary Medicine in 2010. Prior to that, she graduated from University of Rochester. She grew up in the Philadelphia suburbs and now resides in Old City. Dr. Goldstein shares her home with an energetic German shepherd and two playful tabbies. Outside of work, she loves hiking, especially with her dog, traveling and exploring Philly. Dr. Caroline Garzotto is an orthopedic and soft tissue surgery specialist. She graduated from the University of Pennsylvania School of Veterinary Medicine in 1996, completed an internship in Darien, Connecticut, and a residency in small animal surgery at Tufts University. She has been in practice since 2000 and has been performing surgery at the Willingboro Veterinary Clinic since 2009. She and her husband Pete, and daughters Grace and Mia live in Haddonfield, NJ with their two cats and one dog. 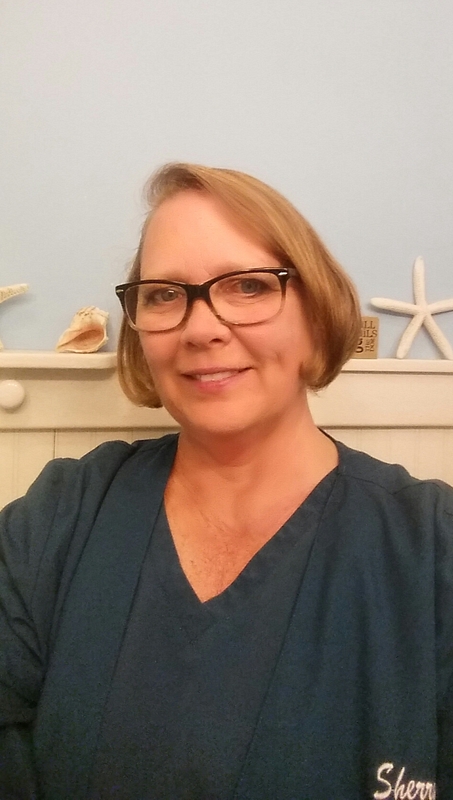 Dana is the co-Practice Manager and a Certified Veterinary Technician with the Willingboro Veterinary Clinic and has been with the clinic since 1987. She graduated from Burlington City High School and from Drew University with a B.A. in Psychobiology. She passed her National Veterinary Technician Boards in 2006. Dana owns a boxer, Rocco, a chihuahua, Taco, and a bearded dragon, Frank. She enjoys spending time with her son, two daughters and husband, motorcycles, traveling, and the beach. Terry is the co-Practice Manager with the Willingboro Veterinary Clinic and has been a part of the team since 1997. She graduated from Burlington City High School and from Burlington County College with an Associates degree in Science, Math and Biology. Terry and her husband Tony have 2 sons, 1 daughter and 2 granddaughters. She enjoys her fish pond, salt water fish tank, house plants, gardening, family time and cuddling with her many cats and her dogs Lucky and Samson. Sharon joined the team at Willingboro Veterinary Clinic as a receptionist in May of 2015. She has always loved all types of animals. She enjoys spending time with her husband Jim and children Jimmy and Casey along with their dogs Copper and Daytona. Jeri is a veterinary technician and the blood bank manager. She attended the Harris school of business and the North American School of Animal Sciences. She has been at the Willingboro Veterinary Clinic since 1996. Her hobbies include photography, dog training and wildlife. Sherry is the evening front desk team leader. She has been with the Willingboro Veterinary Clinic since 1987. She and her husband Richard have many 4 legged kids including a Quarter Horse, a miniature horse, a goat, an English Springer Spaniel and a cat. Among her many interests is training dogs and competing in various AKC events. She is a member of AVSA (African Violet Society of America) and grows and shows African Violets. Sherry is also one of our trainers for our puppy socialization class and is active with MAESSR (Mid-Atlantic English Springer Spaniel Rescue). 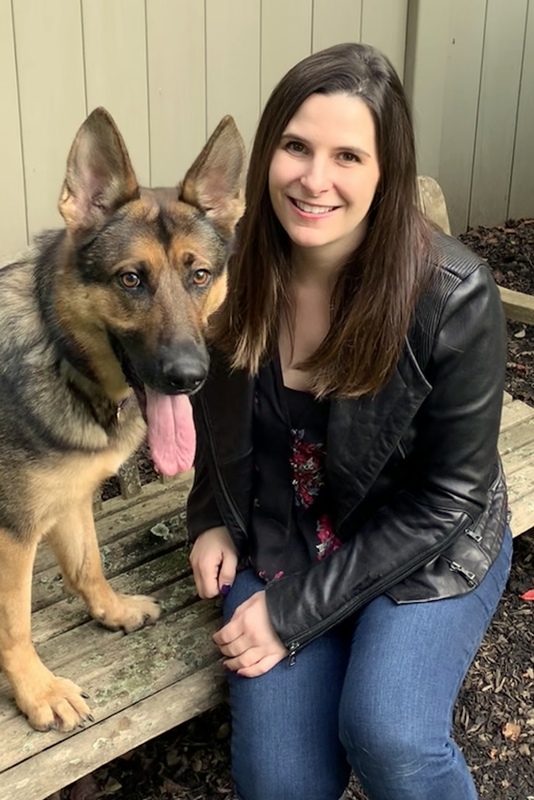 Amanda has been with the Willingboro Veterinary Clinic since August 2018. She is a 2010 graduate of BCIT and is currently enrolled at Camden County College studying to be a Veterinary Technician. After completing her course work she plans on taking her National Veterinary Boards to become a Certified Veterinary Technician. After her externship with us for the Technician program we were happy to hire her as a receptionist. Born in Willingboro she relocated to nearby Edgewater Park. Amanda has one younger brother and a black Pekingese named Midnight. In her spare time she enjoys playing video games, reading and going to the movies. Ivonne has been a receptionist with the Willingboro Veterinary Clinic since January 2007. When she is not at the vet, she enjoys singing and directing the Open Door Alliance Church Choir. She and her husband Sam are the parents of four "adult" children and grandparents of two. They share their home with their youngest "adult" child, and adorable senior pug and a very rambunctious German Shepherd. Judy has been with the Willingboro Veterinary Clinic as a receptionist since December of 2016. Judy attended Wilmington University for 2 years. She loves animals and owns 2 cats and enjoys her 3 grandcats and 2 granddogs. In her spare time Judy loves going to the beach but her favorite past time is skiing in Pennsylvania. Karen has been at the Willingboro Veterinary Clinic since September of 1993. She is one of our reception team members. Karen enjoys sports and is a big Michigan State fan. She has one cat Travis. Nancy joined the Willingboro Veterinary Clinic in August of 2010 as a receptionist team member. She and her husband, Gilbert live with their 4 cats, Brandy, Cuff, Link and Oliver. She also has an adult son, Kyle. In her spare time she enjoys cooking, shopping, taking day trips and vacationing in the islands. Roz has been a part of the Willingboro Veterinary Clinic family since 2010. She and her husband of 55 years have three children. Her grandchildren include 3 horses, 3 dogs, 2 cats and 1 goat. A former travel agent, Roz likes to travel, especially on cruises, and read in her spare time. Shayne has been with the Willingboro Veterinary Clinic since October of 2010. When she is not working she loves to devote all of her time to her family and little dog Preslee. Shayne graduated from Rancocas Valley High School, and would like to further her education to become a veterinary technician. Whether she is at work or at home, Shayne has always loved animals and could not imagine life without them. Alvin has been with the Willingboro Veterinary Clinic since 2014. Alvin previously worked as a pharmacy technician and is a loving father and grandfather. He loves animals and likes to read and watch The View in his spare time. Amanda has been with the Willingboro Veterinary Clinic since March 2018. She graduated in 2010 from Camden County College with an Associates Degree in Veterinary Technology, took her National Boards and became a Certified Veterinary Technician in 2011. Amanda started working at Willingboro Veterinary Clinic after a 4 year break where she chose to be a stay at home mom to her son Callen. She also has several cats and a dog that live with her. At WVC she primarily works in surgery but also helps out in other areas of the hospital. Amanda is excited to continue her career with Willingboro and further her skills and knowledge. Bill has been volunteering and/or working at the Willingboro Veterinary Clinic since 2007. He has two dogs, Buttons and Sandy. Bill is a huge Phillies fan and enjoys spending time at the Jersey Shore. Casey has been with the Willingboro Veterinary Clinic since August 2015. Her best friend Daytona is a Pit Bull she adopted from the shelter in 2010. She also has reptiles, fish and a guinea pig named Gizmo. Casey has been passionate about animals ever since she was a little girl. When not at work she likes staying active by playing sports, being outdoors and hiking and fishing. Chris graduated from Wilson College in Chambersburg, PA, in 1993 with a BS in Veterinary Medical Technology. She is a Certified Veterinary Technician and passed her national boards in 1992. Chris has been with the Willingboro Veterinary Clinic since 1990. She lives with her husband, three sons, two dogs, KO and Champ, and cats, Suds, Screech and Gus. When not working, Chris enjoys rooting on the Phillies and bowling. Dana has been an employee with the Willingboro Veterinary Clinic since August of 1995. Besides her daily technician duties, she assists our Orthopedic Specialist, Dr. Garzotto, in appointments and surgery. She and her husband Pedro own two toy poodles Blanco and Diamond, a Shih-Tzu named Manny, pocket bullyz and 3 parrots. Her true passion lies with caring for and riding her horse. Debbie has been with the Willingboro Veterinary Clinic since January of 2012. She graduated from Burlington City High School and Glassboro State College. Debbie has worn many career hats including CPA, mortgage broker/owner, aquatic engineer, and catering manager. After volunteering for 14 years with AArk Wildlife Rehabilitation and Education Center she has now shifted gears to domestic pets. Debbie is an avid scuba diver and loves to travel to new places where she can explore. Her and her boyfriend are looking forward to fostering many pets. Deb is a technician the with the Willingboro Veterinary Clinic and has enjoyed being a part of our family since 1984. She has continuing education in animal nutrition, behavior, pocket pets and is a certified PennHip associate member. In 2005, following her passion for pets to have a healthy, pain free mouth, she received advanced dental training at the Animal Dental Training Center in Baltimore, Maryland. Deb is the proud daughter of Retired Air Force parents and is married to a wonderful man, Keith. They have two awesome kids, Brooke and Taylor and share their home with crazy rescued pets, Bettis and Blaze. Denise is the kennel manager and has been with the Willingboro Veterinary Clinic since 2000. She has three children, four grandchildren, a dog, three cats and a wonderful husband that keep her busy. She also enjoys hosting family parties and get-togethers. Jessica has been with the Willingboro Veterinary Clinic since August 2017. She is a hardworking student with a love for animals. She is currently in high school ready to graduate in the Spring of 2019. Jessica has a special interest in music. Linda, one of our technicians, started at the Willingboro Veterinary Clinic in November of 1987. She enjoys making the staff laugh with her jokes and little pranks. Linda has 2 daughters and a grandson. She shares her home with her fiance Rusty and their three pets, Dinkens the Chihuahua and cats, Woody and Louie. Maria has been with the Willingboro Veterinary Clinic since 1994 and is a Certified Veterinary Technician. She attended Camden County College and enjoys assisting in surgery when at work. In her spare time Maria enjoys swimming, reading, Science Fiction, country music and baking. She has two Parson Russell Terriers, with which she enjoys working, 4 chinchillas, 2 hedgehogs and a box turtle. Michele has been with the Willingboro Veterinary Clinic since 2006. She is a certified veterinary technician with 2 Associate in Science degrees. Michele has 3 dogs, Sully, Phoebe and Merlot, a cat named Wesley and a hamster round out her animal family. She enjoys helping with rescues which include West Jersey Volunteers for Animals, A Pathway to Hope, and Paw it 4ward and going to the beach and spending time with her husband. Michelle has been with the Willingboro Veterinary Clinic since 1997 and is a Veterinary Assistant. She has an Associates Degree in Liberal Arts from Burlington County College and a Veterinary Assistant Certificate from Stratford Career Institute and Burlington County College. Michelle has two cats, a hamster and a love bird. She loves all types of animals. In her spare time she enjoys writing children's stories and drawing. Nadine came to Willingboro Veterinary Clinic in 2013 working as a receptionist and started training as a technician in 2014. Her love for animals started at an early age in Germany, where she was born and raised, when she spent her childhood on a farm, riding horses and caring for all types of animals. She has a special interest in reptiles and exotics and enjoys working in surgery at the WVC. She loves spending time with her pets and 3 children when not at work.